Valentino Rossi, original photography by Joe Ercoli. Until the GP pics are fully processed and ready to go (which is soon), I’ll try to post a photo a day from the Red Bull GP weekend. In some ways I’m just procrastinating writing one huge blog post like I normally do and I’ll just keep stringing you along by feeding you little bits. Enjoy! 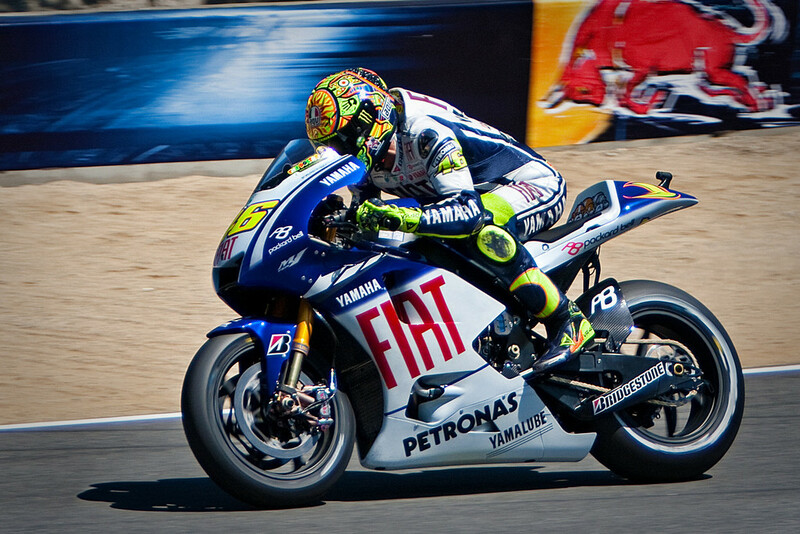 MotoGP fans will, of course recognize today’s racer: Valentino Rossi. This shot of the The Doctor was taken just after Laguna Seca’s famous Corkscrew before entering the Rainey Curve (turn 9) during one of the practice sessions on Saturday, July 4. Recovering from MotoGP Weekend Nicky Hayden Bangin’ Bars @ Laguna The Leader of the Pack! For Now… Hacker! This entry was posted on Thursday, July 16th, 2009 at 1:09 pm	and is filed under Blog, Photos. You can follow any responses to this entry through the RSS 2.0 feed.